We live in a distracted and uprooted society. Ours is an age of change—and this change often moves at a pace with which we can hardly keep up. 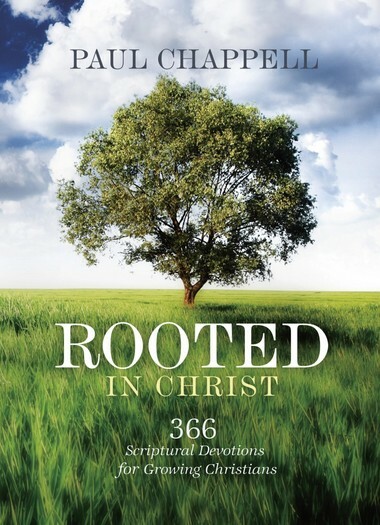 Although many factors of our lives—location, vocation, relationships, opportunities, health, finances—may change frequently (and sometimes painfully), we as Christians can be firmly rooted in our relationship with Christ Himself. He desires for our hearts to be fixed on Him and established in His grace. In this power-packed daily devotional, each page beckons you to a deeper relationship with God, helping you discover for yourself the life-changing power of His unshakable love. As each brief reading draws you to the Lord, you’ll be equipped to greet each day with bold faith, confident in God’s faithfulness, strength, and transforming grace.